Are you about to face the rigorous demands of the Police Academy? As a public safety worker (firefighter, marshal, correctional or security officer, etc.) are you looking to maintain or improve your strength, conditioning, overall fitness and get back into Academy shape? Fleet Feet Montclair and strength and conditioning experts Krank Systems Gym of Nutley have teamed up to bring you an innovative 12 Week Academy Readiness Program. Using law enforcement academy readiness standards, we will assist you in preparing for success in Academy training and to meet the essential physical demands of public safety officers. Special offers & discounts at Fleet Feet Sports! *Test out dates are crucial for coaches and participants to measure growth and improvement. First we'll meet with Fleet Feet coaches for a group run. We'll return to Krank Systems for a comprehensive nutrition seminar on the importance of proper food intake as it relates to fueling our workouts, recovery and maintaining a healthy weight. Using the park's fitness trail, BlueFit coaches will challenge participants to progress through different physical fitness stations testing their strength and running ability. As you begin this new journey, it’s important to have a healthy baseline to give you the best chance of success. The last thing you want is to be sidelined shortly after you begin the program. If you've been experiencing pain, injury or weakness, then now is the best time to address it. 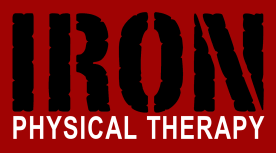 As Doctors of Physical Therapy, Iron Physical Therapy staffers are experts in movement who can diagnose pain, address weakness and help you prevent injury. Iron Physical Therapy is offering you a FREE, 15-minute screening to identify any issues that may be problematic during your upcoming training program. If recommended, we can outline modifications and suggest specific exercises to address your unique needs. We look forward to keeping you “IRON” strong!! REGISTRATION IS OPEN NOW through September 22, 2016.